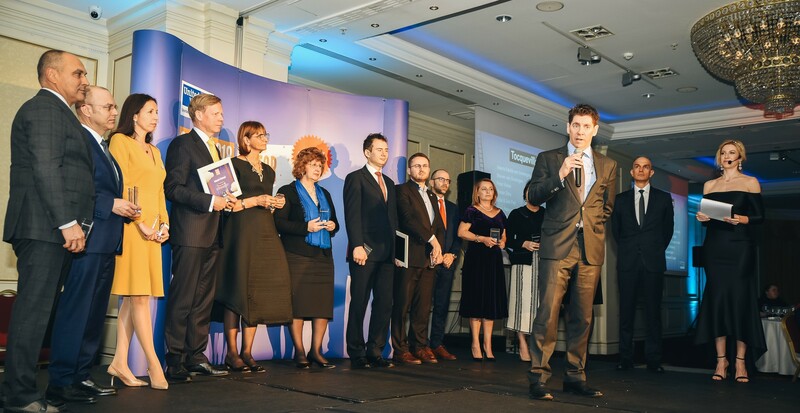 At the 13th edition of the United Way Gala, people, organisations and companies who change communities for the better were rewarded and acknowledged for remarcable results over the year and their contribution to United Way Romania projects. 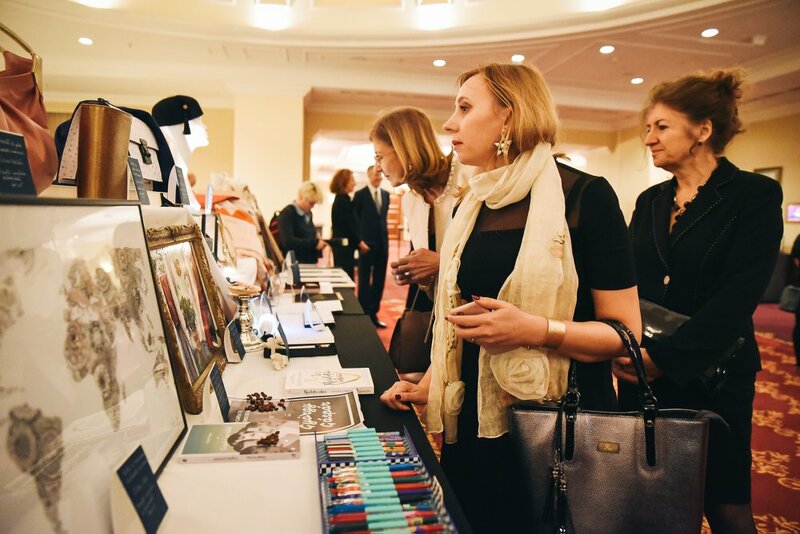 The event – that gathered on the 13th of March, at Marriott Hotel, almost 200 guests from companies, NGOs, public institutions as well as diplomats and journalists – focused on the chance to a brighter FUTURE for vulnerable children and youth. Each one of them is a future adult who can achieve success if given the right support when most needed. 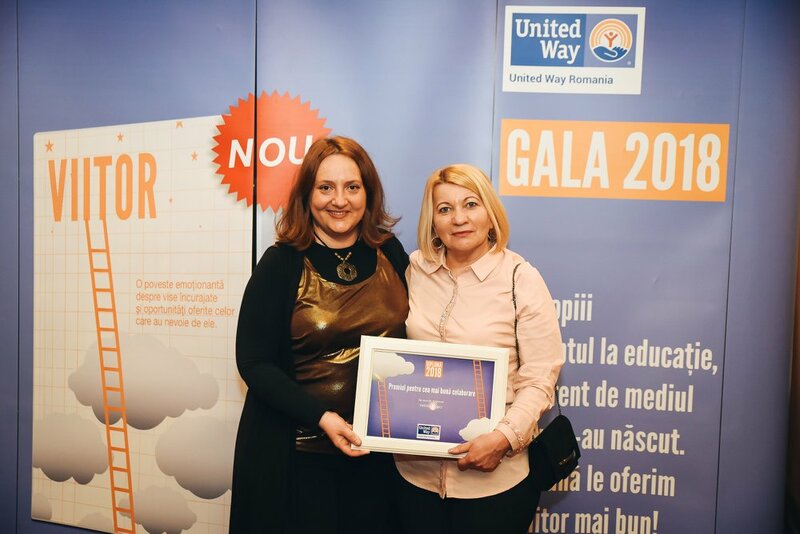 At this edition of the Gala, United Way Romania awarded 23 companies and 45 major donors. 12 Community Center were received diplomas, as well as 3 organizations, 3 volunteers and 5 representatives of public institutions, teachers and specialists from non-profit sector. Romanian artists and designers who supported last year our school abandonment prevention program were also invited on the stage of the Gala. The winners have been selected out of a total number of over 150 partners: 70 companies and over 85 NGOs, and from within over 2,100 volunteers that offered their time and expertise supporting our programs. “We feel fortunate to have by our side partners who support us in our mission to offer every one, no matter the environment they were born in, the chance to a better and brighter future. 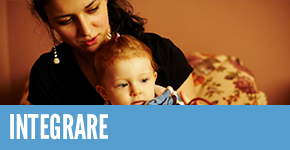 At United Way Romania we know that the FUTURE is made out of many TODAYs and we are honored to rely on companies, organizations and volunteers who offer their resources, timp and funds in order to help us rewrite destinies – declared Cristina Damian, Executive Director United Way Romania. United Way Gala was hosted by Sonia Argint Ionescu (TVR) and we were honored to have H.E Hans Klemm, Ambassador of the United States of America to Romania, H.E, Stella Ronner-Grubačić, Ambassador of the Kingdom of the Netherlands to Romania, H.E Tamar Samash, Ambassador of Israel to Romania and Benedikt Saupe, Counselor Deputy Head of Mission, Austrian Embassy to Bucharest present. 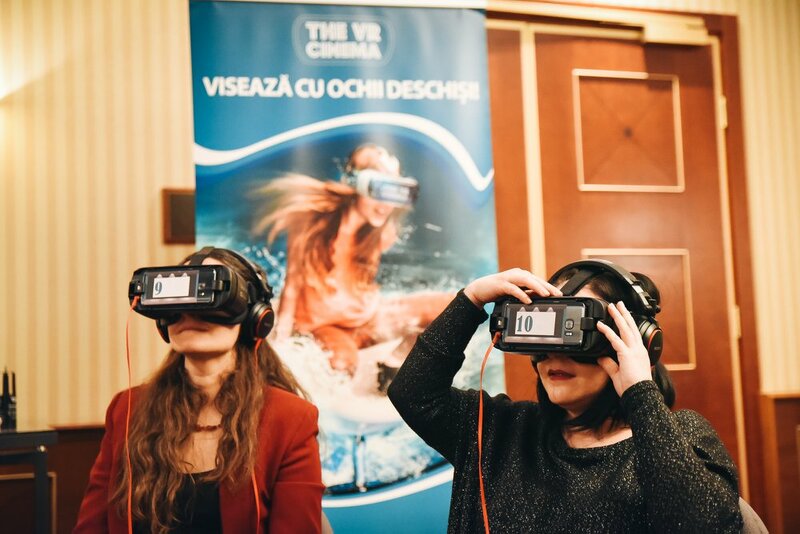 During the cocktail, the guests stepped into the FUTURE, discovering the univers of virtual reality due to THE VR Cinema from Veranda Mall, took a photo souvenir from the Extend 4D Concept photo booth and admired the one-of-a-kind objects donated for a silent auction to the benefit of the children supported through our program for preventing shool drop-out by romanian artists, designers and companies: Wagner Arte, Laura Hîncu, Cristian Samfira, Galeria Posibilă, Oana Vasiloiu, Oana Diaconu, Gabriela Secărea, Lali Torma, Alina Carp, Teli Iacșa, Simina Filat, Otilia Flonta, Renata Scorobete, Eliza Ștefu, Shukar Bijoux, DeCorina, Horse Eye, Disrupt HR, György Gáspár and Pagina de psihologie, Dacris and JW Marriott Bucharest Grand Hotel. 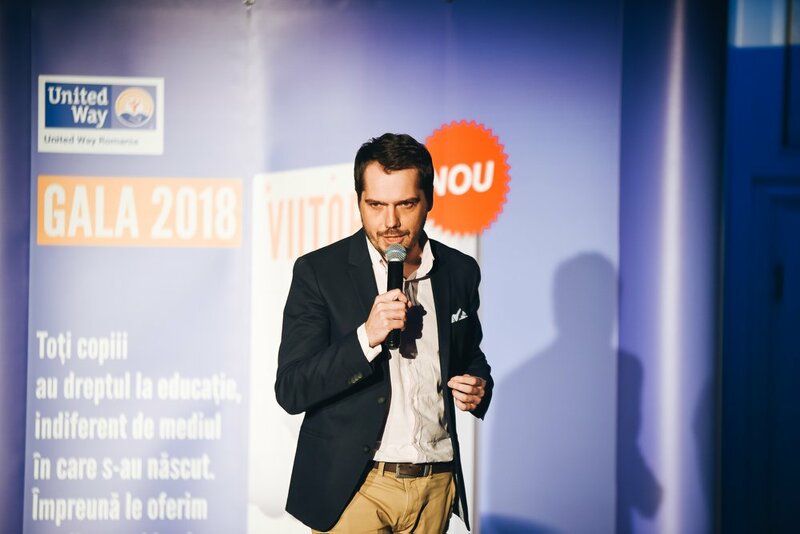 The welcome speech was delivered by Andrei Pogonaru, Vicepresident of United Way Romania and the award ceremony started with an inspiring speech of H.E. 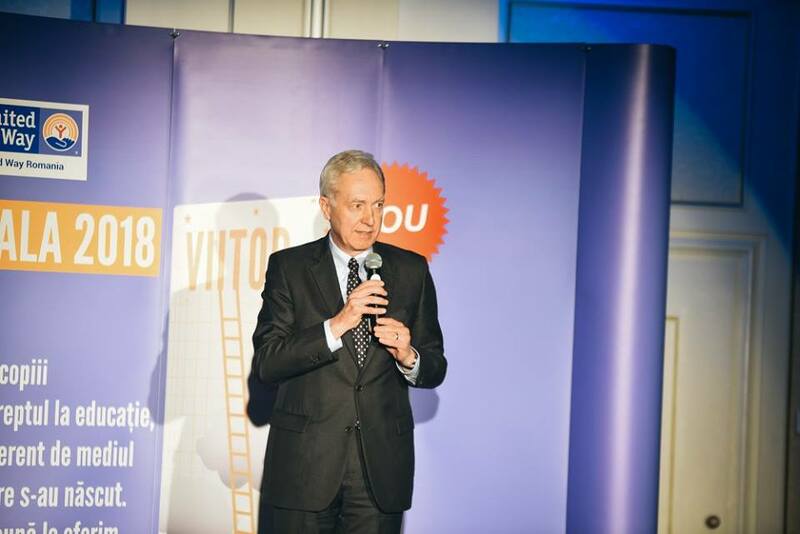 Hans Klemm, Ambassador of United States of America to Bucharest, who stressed the importance of major donors and contributing to a better society – a duty for every one of us. The first two trophies of the night were awarded to Steven van Groningen and Andrei Pogonaru for their extraordinary contribution to the Roundtable on Philantrophy. They were joined on stage by other members of Alexis de Tocqueville Society of United Way Romania – that is growing stronger and currently includes Valeria Răcilă van Groningen, Steven van Groningen, Mariana Gheorghe, Lidia Fați and Dan Fați, Daniela Toader and Șerban Toader, Andrei Pogonaru, Peter Weiss, Marian Dinu, Ioana Hațegan, Dan Ștefan, Adrian Mihai, Neculai Mihai, Felix Pătrășcanu, Vladimir Kalinov, Radu R. Florescu, Thomas Christian Knobel, Dan Ștefănescu, Laura Khouri, Mike Hayde. 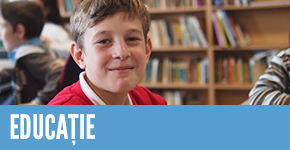 The generous contribution of a Tocqueville Society member, of over 10.000 USD per year, helps us support 34 children form disadvantaged families in school (an entire class of pupils!) yet another year. The Leadership Givers were awarded by H.E Tamar Samash, Ambassador of Israel to Bucharest for their annual 1,000 USD contribution to United Way: Mari Kano Klemm, Ciprian Lăduncă, Alexandra Florea and Matei Florea, Ileana Farmache, Bogdan Bibicu, Adriana Stoica, Cristian Popescu, Vikram Dixit, Victor Geus, Călin Avram, Irina Kubinschi, Florin Lincaru, Monica Udrescu, Cristina Grigorescu, Ramona Jurubiță, Aura Giurcăneanu, Raluca Soare, Cezar Furtună, Felix Daniliuc, Jeff Sullivan, Mirel Pleșca, Cristina Popescu, Maria Tomescu, Mechtild Gollnick and 3 other major donors who chose to remain anonymous. Bogdan, Sergiu and Nicoleta from Centrul de Zi – Casa Florian moved everybody to tears with their essays on the Future – the theme of a writing competition launched by Dacris amongst children supported by UWRo. 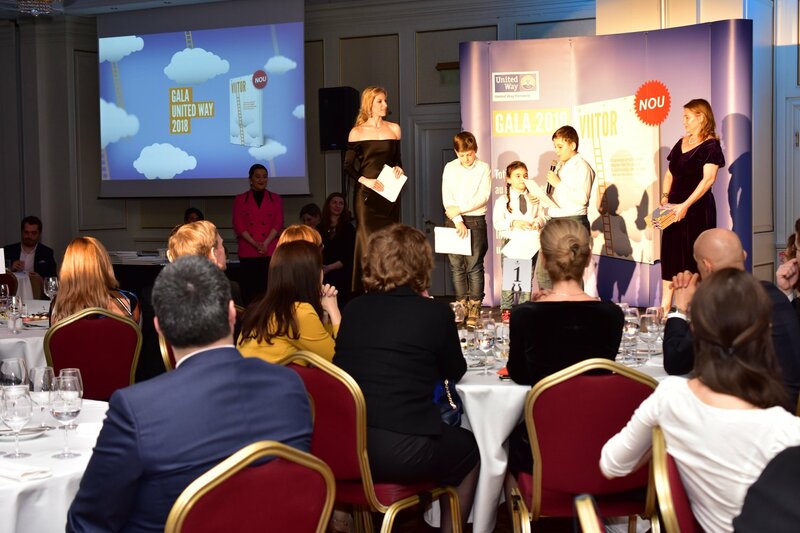 The children impressed us with their candid vision on the world’s future as well as their own future and received their well deserved prizes from Lidia Fați – one of the three founders of Dacris company. Heartwarming as well was György Gáspár’s inspiring speech about the invisible children of Romania. The psychologist knows from personal experience that chances offered to those in need when most needed are paramount in overcoming a difficult start in life. 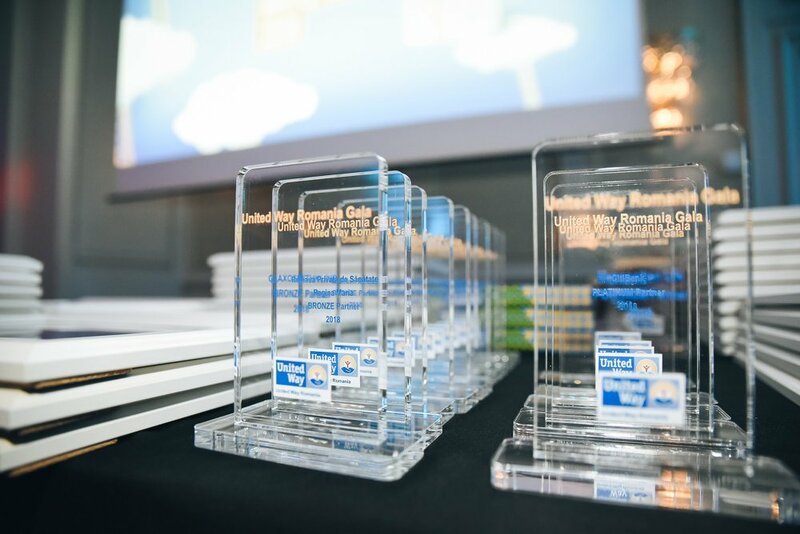 Metropolitan Life, Raiffeisen Bank, Kaufland România, Citi, Profi Rom Food and Velux Foundations received the Platinum Trophies, awarded to the companies supporting United Way programs with over 100,000 EUR. The Gold Trophy (for the partners donating over 50,000 EUR to United Way) went to Mott Foundation, and the Silver Trophies (for an annual contribution of over 25, 000 EUR) were awarded to Raiffeissen Asset Management, Accenture, Kruk and Pro TV. 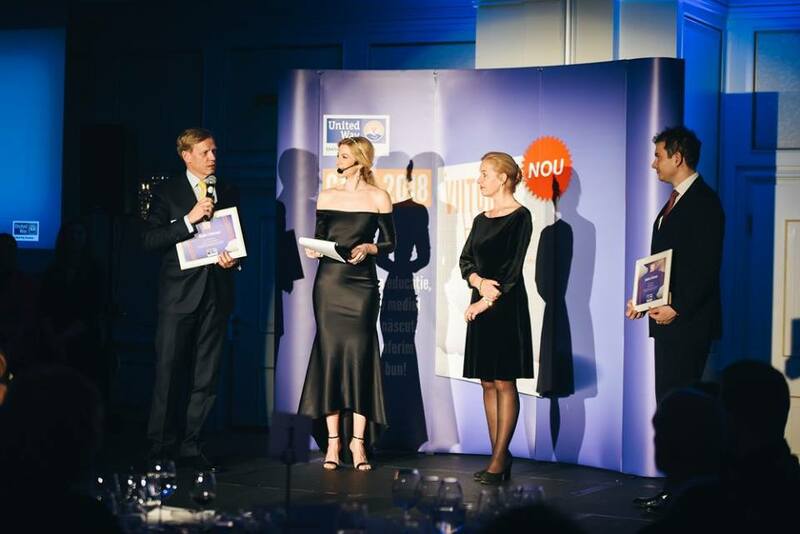 We were happy to offer the Bronze Trophies to 11 long-term partners, but also new partners who support United Way financially and through pro-bono services and the involvment of their volunteers: GSK, Rețeaua Privată de Sănătate Regina Maria, B-Braun, Genpact, DLA Piper, Franklin Templeton, Lenovo, Raiffeisen Leasing, HTS Hongta Services, MSG Systems Romania, and last but not least, Hațegan Foundation – that involves year after year a large number of volunteers in a massive effort to organize the Viennese Ball in TImișoara and raise funds for children supported by United Way programs in Timișoara. Centrade-Cheil, Dacris and KPMG pro bono work was acknowledged on the stage of the Gala. 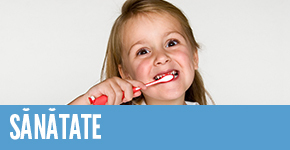 These long term partners help us in our mission of offering a better future to those in need. 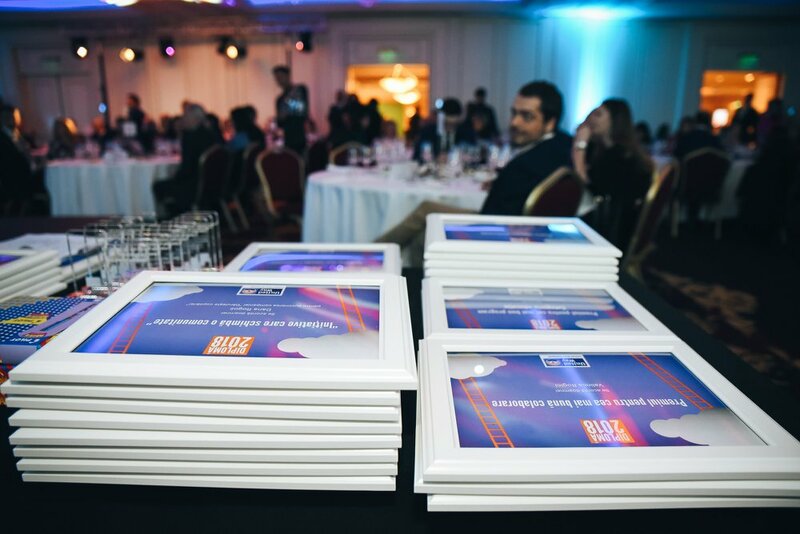 The ”Initiatives that change a community” award was rightfully gained by Kaufland Romania, The Romanian Police and the Ministry of National Education, for their contribution to the National Safety Road Program. Romanian artists and designers who supported our Childhood Bestowed campaign – (the charitable creative workshops to the benefit of children in UWRo program for preventing school abandonment) were also invited on the stage: Dana Rogoz, Ana and Irina Wagner (Wagner Arte), Laura Hîncu, Simina Filat, Ștefan and Matei Câlția (Galeria Posibilă), Gabriela Secărea, Teli Iacșa, Oana Diaconu, Diana Cotoros, Mihaela Bachmann, Alina Carp, Irina Dimiu, Silviu Flețan, Mihaela-Doina Rădulescu, Cristian Samfira, Shukar Bijoux, Lali Torma, Oana Vasiloiu, Mihaela Zvîncă. The Best program in Education, Health and Income Awards were won by ”Tineri pentru tineri” Foundation (for their contribution to the National Safety Road Program), by ”Asociația Pacienților Oncologici din România” (for the on-the-road lab that ensured that 1,000 underprivileged children from Prahova county benefited of free hematological screening) and by Samusocial, an organization that, for the past 2 years, has helped 234 children and 57 youth and elderly people. The 12 Community Centres that act as community hubs for enhancing the educational role in the community’s development, established within our Nesting a brighter future for children program, in Fundulea, Urlați, Jilava, Pădureni, Băicoi, Cluj-Napoca, Bucovăț, Șemlacu Mare, Sînandrei, Mașloc, Carani and Timișoara received the Community Award. Over 700 children benefited so far of over 500 non-formal educational activities meant to prevent school drop-out and to offer educational opportunities to underprivileged children within these Community Centers. Velinca Bogici (Principal of Bucovăț Primary school), Cojan Rodica (Director, Directorate of Social Assistance in Timișoara) and Eva Kovacs (coordinator of the ”Learn to succeed” program at 15 Primary Scool in Timișoara) received the awards for Best Collaboration. The last awards were offered to 3 volunteers – out of a total number of over 2,100 people supporting UWRo programs last year. Raluca Lupșa (local volunteer at the Community Center in Cluj-Napoca), Irina Anca Mureșan (author and volunteer at the Reading Club at 15 Primary School in Timișoara, Community Center Carani and Community Center Sînandrei) and Alis Maticiuc (coordinator from Metropolitan Life Ploiești division) received our applauses for their dedication and contribution to UWRo programs. În 2017, 70 companies, 2,000 donors and over 2,100 volunteers helped us rewrite the destiny for over 12,900 people.7,500 children from disadvantaged areas were supported to go to school and continue their education. 1,400 young people in difficulty – such as youth from foster care, homeless people or single mothers – received the help they needed to reintegrate into society. Over 4,100 children and adults received medical and social services that ensured an acceptable standard of living. 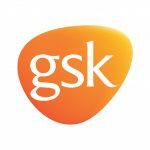 We thank the sponsors who made this Gala possible: GlaxoSmithKline, Kinstellar, B-Braun, Raiffeisen Leasing.